After you receive a diagnosis of cancer, starting or maintaining an exercise routine might seem like the least of your worries. That’s understandable. Regular exercise might be something you didn’t seem to have time for even before your diagnosis. With all the new demands of treatment, such as medical tests and doctor’s visits, exercising may seem to be an even less likely prospect. But there are many good reasons to think about keeping some sort of physical activity routine while being treated for cancer. Most important among them is that a number of studies have shown that regular physical activity is linked to increased life expectancy after a diagnosis of cancer – in many cases by decreasing your risk of cancer recurrence. Recent research also has shown that moderate can improve your physical, mental and emotional well-being. Exercise can help you control your weight, sleep better and elevate your mood, offering drug-free relief for the feelings of sadness that can accompany a cancer diagnosis. Regular physical activity also increases muscle strength and flexibility, which may be impaired by surgery and some therapies. Exercise also will improve your cardiovascular function and protect your bones. Exercise has the power to reduce stress, gives you more energy and may speed your recovery from cancer treatment. Cancer treatments such as chemotherapy, radiation and bone marrow transplants can reduce your energy. That’s because while cancer drugs attack cancer cells, they also strike healthy cells, including red blood cells. As a result, patients can develop anemia, which causes them to experience fatigue. Among our patients, fatigue is the most-cited physical effect of cancer treatment. 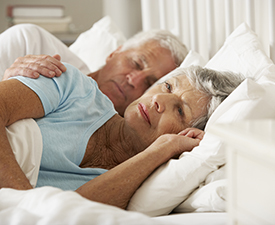 Although fatigue usually lessens or stops after treatment is over, it is a very common problem for cancer patients. It may seem counterintuitive, but exercise can help you to manage your fatigue. Studies show that cancer patients who exercise regularly reported experiencing 40 percent to 50 percent less fatigue. So while it may require much effort at first to get up and move around, exercise will provide a long-term benefit of reducing fatigue. Of course, be sure to talk with your health care team about whether, when and which exercise is appropriate for you. There may be times – such as immediately after surgery – when you may need to take a break from physical activity so that your body can heal. Also, you may have conditions or symptoms, such as lymphedema, that will need to be taken into consideration in deciding what kind of physical activity you want to do. You may need to modify your exercise routine occasionally to allow for “down” days in the treatment cycle. For example, if you are undergoing chemotherapy, you may wish to avoid or scale back exercise on the days when side effects from treatment are more pronounced. Or if you are receiving radiation therapy, exercise may need to be reduced, or in some cases avoided, toward the end of treatment or in the weeks immediately after treatment ends. Exercise doesn’t have to be an hour of high-powered aerobics or running long distances. It can take the form of almost any kind of physical activity. The National Comprehensive Cancer Network (NCCN) advises starting slowly and increasing your activity a little bit at a time. Depending on your fitness and comfort level, you may want to start with a 10-minute walk around the block. Others may find they can exercise for 20 minutes or longer right away. Try for at least 30 minutes of aerobic exercise five days a week or more. But take it easy. If you try to do too much, you may become discouraged and stop exercising altogether. If you were a regular at the gym before cancer, you may have to lower the intensity of your workouts for a while. Be sure to listen to your body and scale back your efforts when your body needs to. Some days you may have less energy than others, so know that it’s all right not to push yourself to top your last exercise session. Sometimes the goal merely will be to finish the workout. Don’t exercise if you’re not feeling well or running a fever. If you don’t have the energy to exercise a full half-hour, break it up; try three 10-minute walks during the day. Make exercise enjoyable; recruit a walking partner or listen to music with headphones while on a recumbent bike or treadmill. Dress comfortably and drink plenty of water. Warm up by swinging your arms or marching in place and cool down with gentle stretches. Do some gardening or house cleaning – both provide physical workouts. Consider yoga and tai chi; though not aerobic, they integrate movement and meditation and enhance wellness. Look for programs designed for cancer patients. Some health clubs and hospitals offer exercise classes that address the challenges and needs of people with cancer. If on radiation therapy, avoid swimming pools; they can expose you to bacteria that may cause infections and the chlorine may irritate radiated skin.